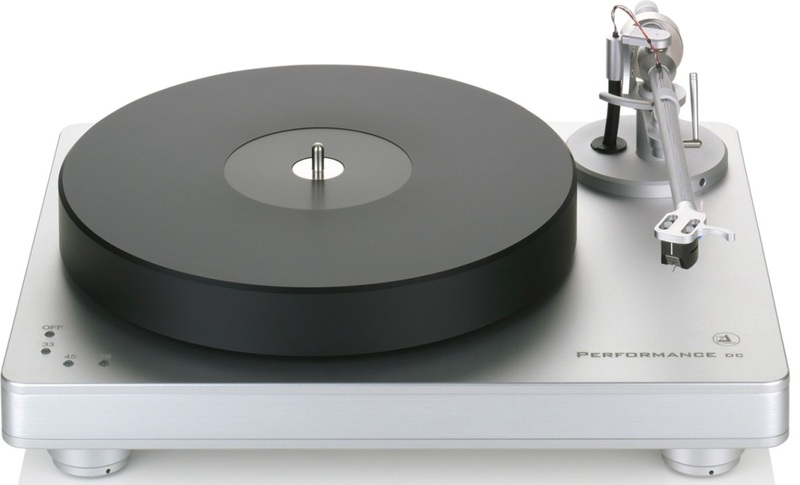 Clearaudio turntables are highly regarded for their precision German workmanship and solid design principles. Couple them with a Clearaudio tonearm and a Clearaudio phono cartridge and you have a high-value, high-performance analog front-end. 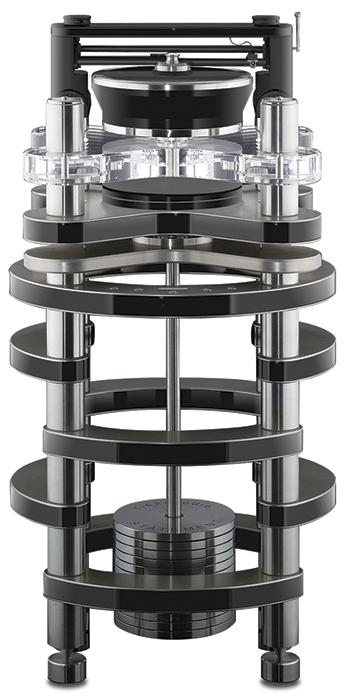 Clearaudio turntable packages represent clear value. The folks at Clearaudio recognize the fact that many audio enthusiasts are interested in buying a complete turntable setup. Because of this, they offer a number of choices at various price points of turntable and tonearm sets. Some Clearaudio turntable models are even available with a phono cartridge pre-mounted, meaning that model is truly a “plug-and-play” record player. If you are looking to get into analog or just want to upgrade your analog front end, this is a hassle-free place to start. 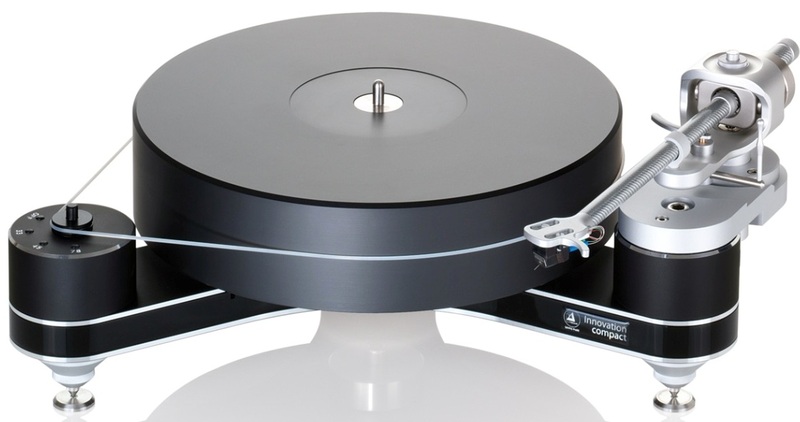 Order ANY Clearaudio turntable and tonearm combination and receive 5% off the purchase price! The revolutionary Concept features a choice of tonearms as well as a level of design and construction sophistication unheard of at this price. What Hi-Fi? Product of the Year for 2009. Include the inboard phono preamplifier and headphone amplifier to any of the above selections for $800.00. Download the Concept Turntable owner's manual here. The award-winning Concept gets a performance and aesthetic upgrade to become the Concept Wood. The Concept Wood offers the benefit of a multi-ply Baltic birch plinth and your choice of either the Satisfy gimbaled bearing tonearm with aluminum arm tube, or the Satisfy gimbaled bearing tonearm with carbon fiber arm tube. Pre-mounted phono cartridge options are also available for a plug-and-play analog front end. Download the Concept Wood Turntable owner's manual here. The ever popular Clearaudio Performance is back as the Performance DC. 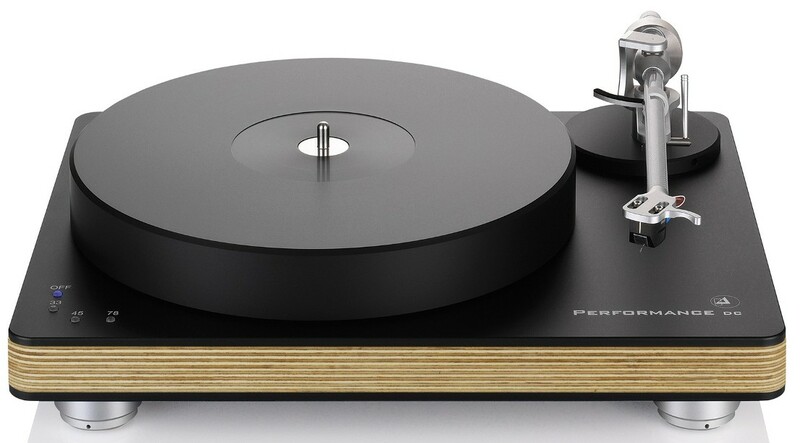 The Performance model returns sporting a new DC motor with pushbutton speed controls on the plinth for 33-1/3, 45, and 78 RPM. The Delrin platter and inboard motor are also upgrades from the award-winning Performance SE. The Performance DC retains the Ceramic Magnetic Bearing system. It is available without a tonearm or with most of the available Clearaudio tonearms, including the standard options listed below. The Performance DC is available in all silver, all black, black plinth with sliver trim, and silver plinth with black trim finish options. 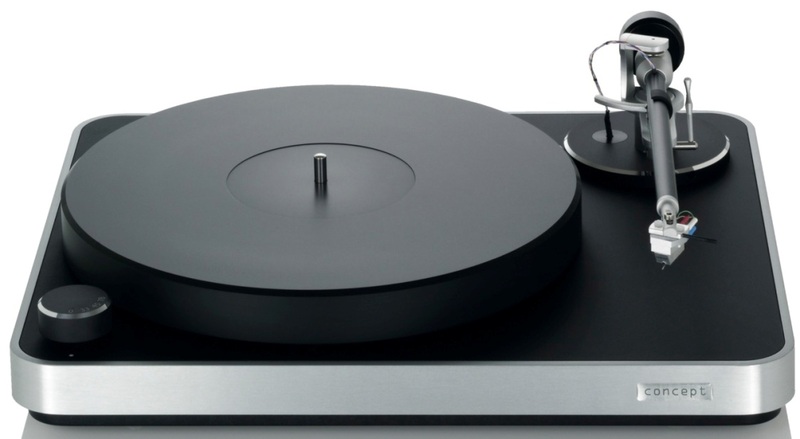 Download the Performance DC Turntable owner's manual here. The Clearaudio Performance DC gets the hotrod treatment to create the Performance DC Wood. Clearaudio has improved the vibration and resonance control of their Performance DC plinth by replacing the MDF core with multi-layer, multi-directional birch plywood. This material offers more mass and the ability to better manage vibrational energy and not reflect that energy back into the music reproduction system. This serves to improve resolution. The finished wood edge also provides visual appeal. The Performance DC Wood uses the three speed DC motor system, Delrin platter, and inboard motor and subplatter system of the Peformance DC, as well as the Clearaudio CMB system from the award-winning Performance SE. 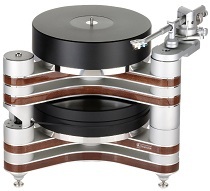 The Performance DC Wood is available without a tonearm or with most of the available Clearaudio tonearms, including the standard options listed below, and with either a black or silver plinth. Download the Performance DC Wood Turntable owner's manual here. The Clearaudio Ovation turntable is a favorite of reviewers and audiophiles alike. 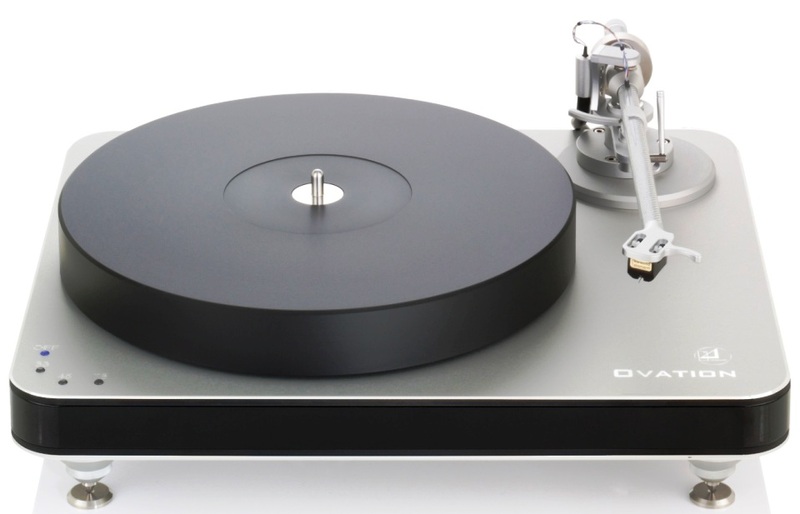 The Ovation turntable offers much of the performance level of the Innovation Series turntables, but does so at a lower price and in a package that takes less space on your audio rack. The Ovation employs the same Panzerholz wood and aluminum plinth technology, Ceramic Magnet Bearing system, and adjustable isolation feet as the Innovation Series. 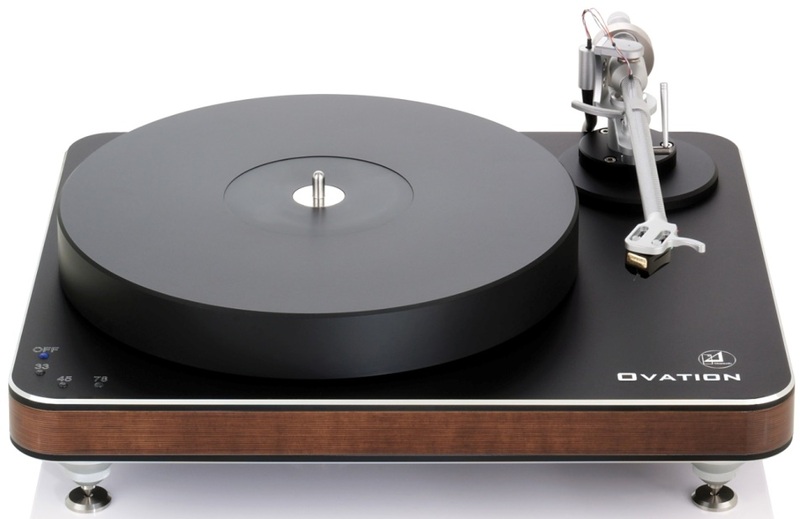 The Ovation also features a 40 millimeter Delrin platter, a decoupled three speed DC motor with Optical Speed Control and a unique system of stainless steel tiles in the plinth to add mass and control resonances. The Ovation is available with a choice of either Black or Silver finished aluminum top plate and a natural stained Panzerholz edge finish. An optional Piano Black edge finish is available for an additional charge as shown below. Please specify your choice when placing your order. Download the Ovation Turntable owner's manual here. The Innovation Wood Series bridges the gap from the ordinary to the extraordinary. 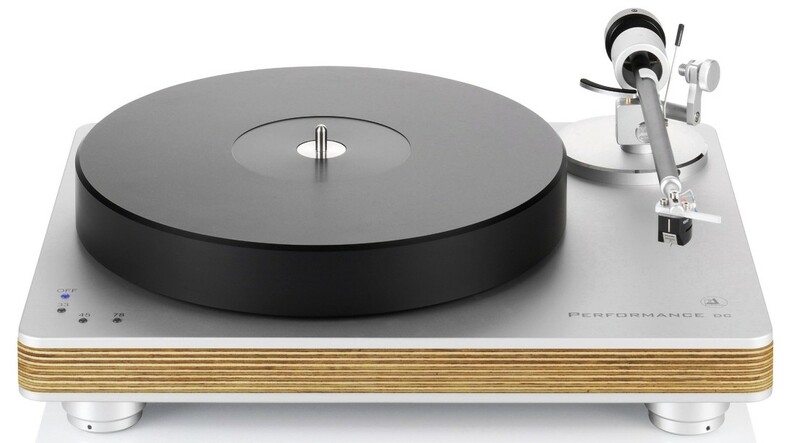 The Clearaudio Innovation Series of turntables consists of the single-layer plinthed Innovation Wood Basic and the Innovation Wood Compact as well as the double-layer plinthed Innovation Wood. 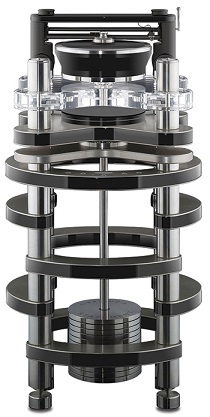 These models are based on the concept of the Clearaudio Solution Series of turntables insomuch as they feature Clearaudio’s “tri-star” plinth design, but the performance improvements are numerous. 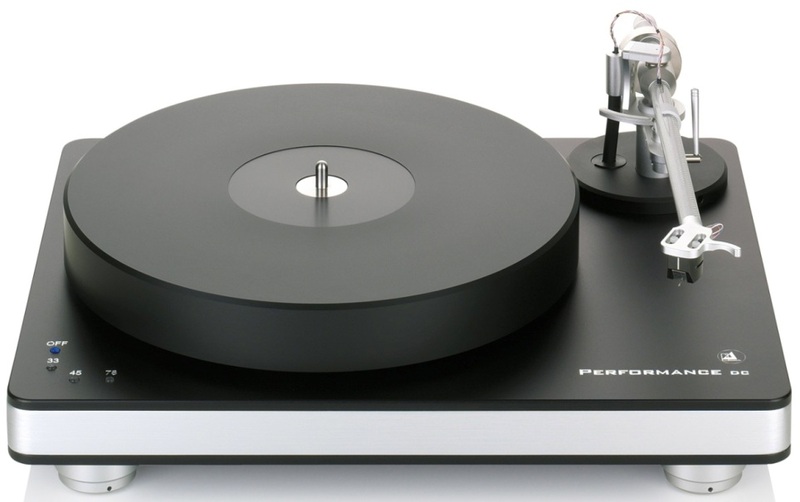 These improvements include Optical Speed Control (OSC) that offers three rotational speeds at the push of a button, a 38 mm (Innovation Basic) or a70 mm thick (Innovation Compact and Innovation) Delrin platter, as well as Clearaudio’s Ceramic Magnet Bearing system and the ability to mount two tonearms, including Clearaudio’s linear tracking tonearm models. All three models are available standard with either Black or Silver finished aluminum top plate and a natural stained Panzerholz edge finish. An optional Piano Black edge finish is available for an additional charge as shown below. Also available are red and white lacquer finishes on the plinth edge as a special order. Contact us for details on those finishes. Download the Innovation Basic Wood Turntable owner's manual here. Download the Innovation Compact Wood Turntable owner's manual here. Download the Innovation Wood Turntable owner's manual here. The Master Innovation Wood offers most of the performance of the Statement at a much lower price. The Master Innovation Wood features a dual level quad-tier plinth that is based on the design of the Innovation Wood. 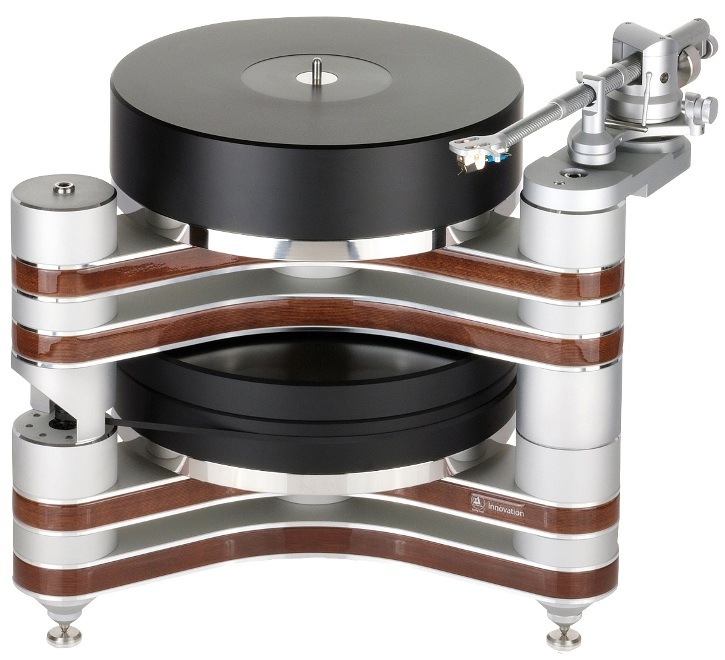 Other features include a 15 mm stainless steel sub-platter, sealed Ceramic Magnetic Bearing system for the platter, the ability to mount three tonearms with armboards available separately, and the belt-driven Magnetically Coupled Drive Platter System that is used on the Clearaudio Statement turntable. The Master Innovation Wood is available standard with either Black or Silver finished aluminum top plate and a natural stained Panzerholz edge finish. An optional Piano Black edge finish is available for an additional charge as shown below. Available as a special order are red and white lacquer plinth edge finishes. Download the Master Innovation Wood Turntable owner's manual here. 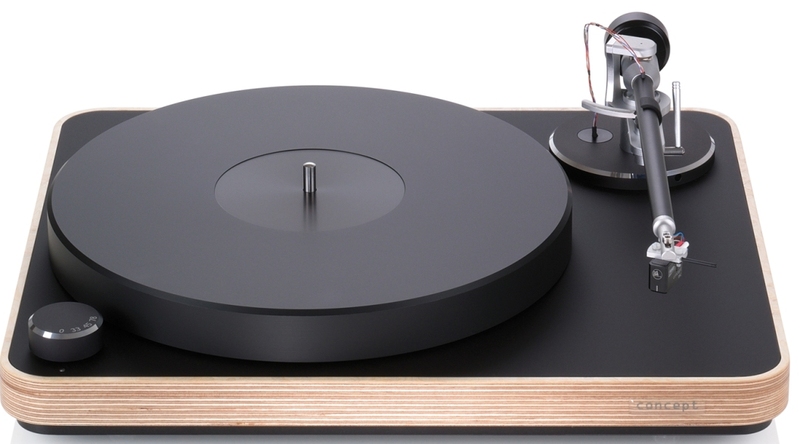 The Clearaudio Statement V2 turntable system is just that: A real statement product. 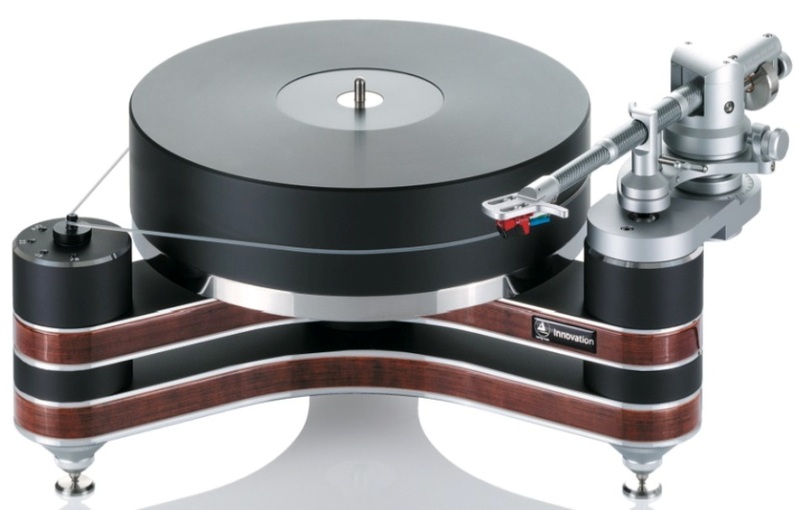 The culmination of 28 years of research and experience by Clearaudio, the Statement V2 and TT-1 tonearm combination is being regarded as the very best in the world. An integral stand system is included. Download the Statement Turntable owner's manual here. IF ORDERING A NON-PACKAGE TURNTABLE AND TONEARM, OR IF YOU PLAN TO USE A TONEARM THAT YOU ALREADY HAVE, PLEASE SPECIFY ARMBOARD MOUNT NEEDED WHEN ORDERING. DO THIS BY INDICATING YOUR CHOICE IN THE NOTES SECTION OF YOUR ONLINE ORDER OR BY TELLING US WHAT YOU NEED WHEN PLACING A TELEPHONE ORDER. WE CAN PROVIDE AN ARMBOARD FOR NEARLY ANY TONEARM ON THE MARKET AND WE CAN ALSO PROVIDE A BLANK ARMBOARD FOR YOU TO COMPLETE YOURSELF. DELIVERY TIMES FOR ARMBOARDS CAN VARY. PLEASE ASK US FOR A DELIVERY ESTIMATE FOR THE ONE YOU NEED.